This course starts on Wednesday May 1st , 7pm at the Papamoa Library and Community Centre 15 Gravatt Road. 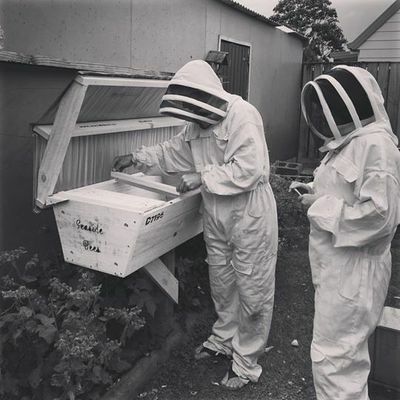 Covering a range of urban beekeeping issues for the beginner getting started. approximately 2hrs each week over 8 weeks. In addition there will be two practical sessions on weekends. Total of 10 sessions, cost: $100 paid on registration. We have previously run this course in Term 2 of 2018 and Term 3 of 2017. 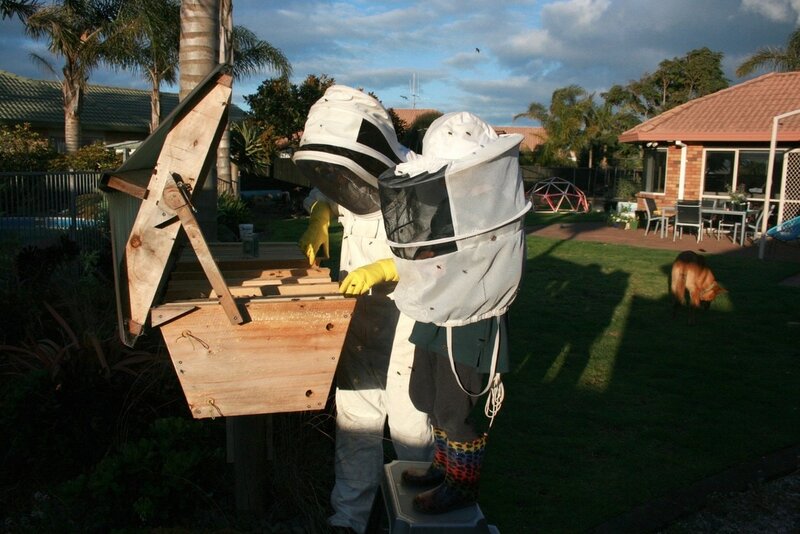 Are you keen to get bees, but you're not sure if you are ready for a hive in your own garden? Maybe you're just keen to see what the buzz is all about? 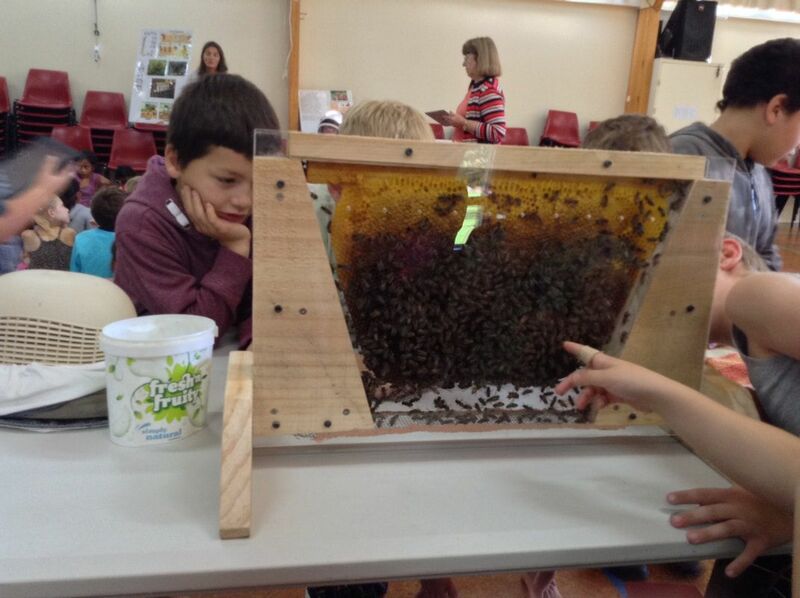 Would you like to join us for a half day of shadow beekeeping? You can be as much hands on as you would like, from lighting a smoker to lifting top bar combs; or just simply taking it all in while we do our job. We carefully supervise and offer you tuition while we perform our inspections. We have different kinds of hives that you can experience. We provide the protective gear. If you have questions Contact Us, or Buy Now and sort out the date and time later to suit. During the warmer months we are flexible, weather permitting. Talks, courses and visits have been done for numerous Schools, Community Groups, Community Gardens, Community Education, Scout Group, Palmers, Bee Aware Month, the Curiosity Project, the BoP Beekeeping Group and many more. Don't hesitate to contact us and we will see what we can do. If you have a beehive and need HELP to manage this all year round or on an ad hoc basis we can help. If you have a hive and want to be taught how to run it we can help. If you need a disease check done or want assistance with varroa mite counts it can be done. There are a wide number of options depending on what you want and where you are based. 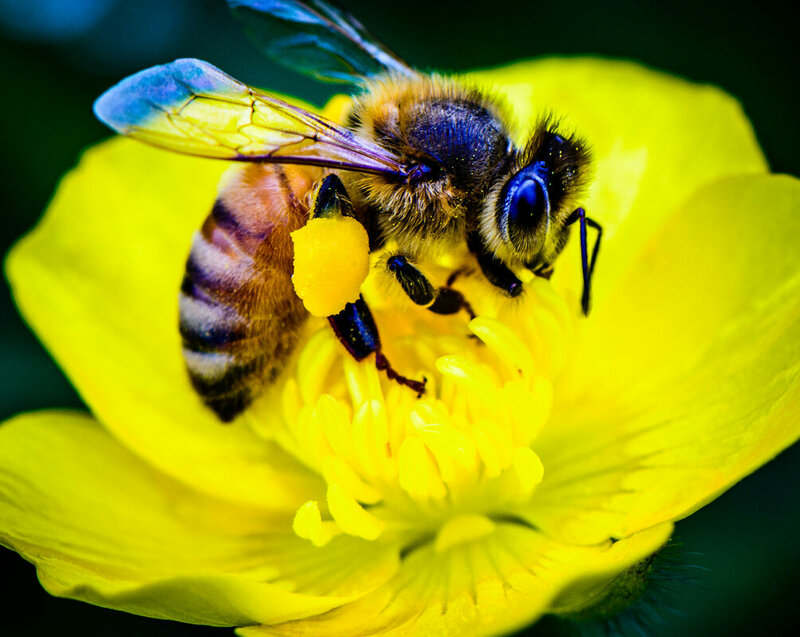 We typically charge $30+gst per hour, including travel, plus costs if there is varroa treatments, hive registration or other out of pocket expenses. If you are long distance, we are happy to try to recommend a beekeeper who is closer to you.